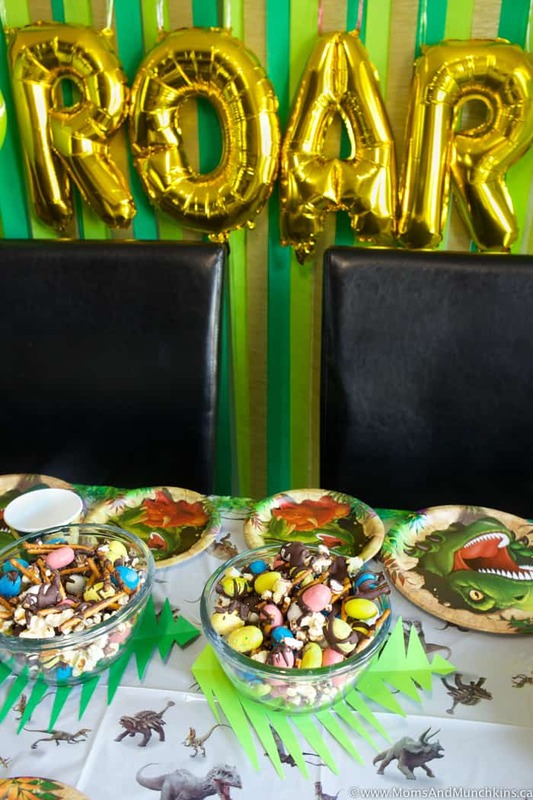 Planning a birthday party for your little boy-osaurus or girl-osaurus? 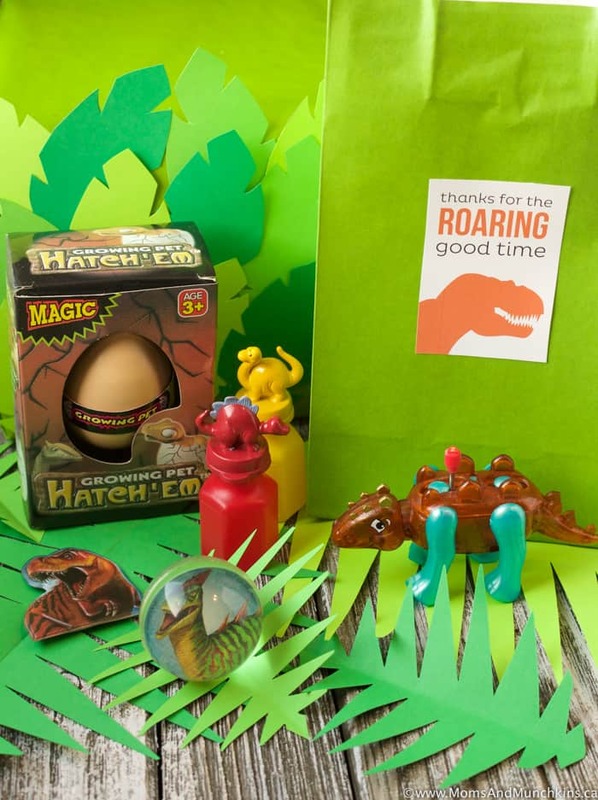 Here you’ll find dinosaur birthday ideas for invitations, decorations, food, activities and treat bags. 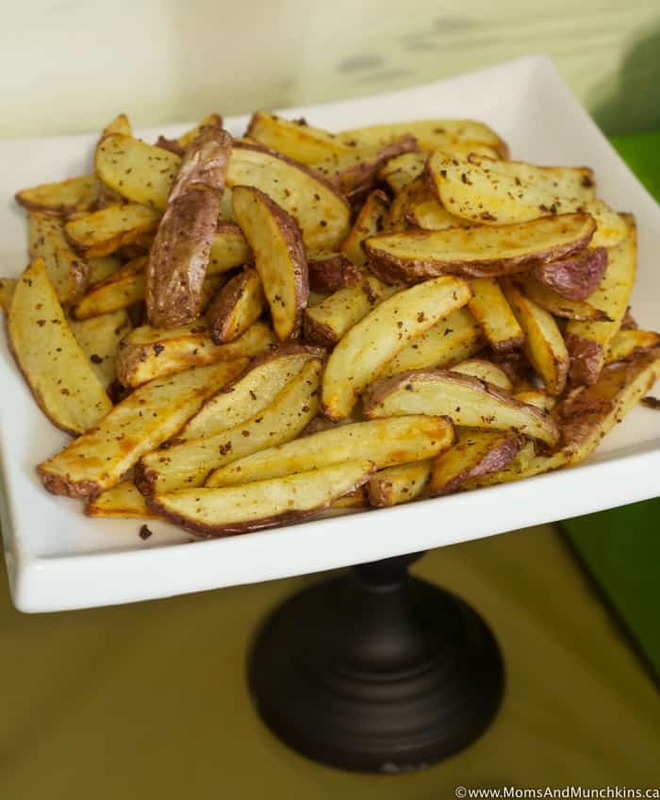 These ideas are great for kids of all ages! I’ve teamed up with Birthday In A Box for this party so a lot of the party supplies shown here are available on their site. 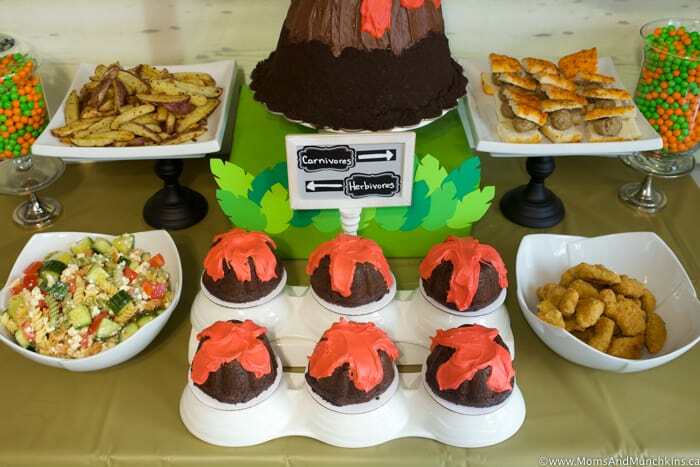 Over on my post for them, you’ll also find detailed instructions for the volcano lava cake and party photo booth. Let’s get this party started! 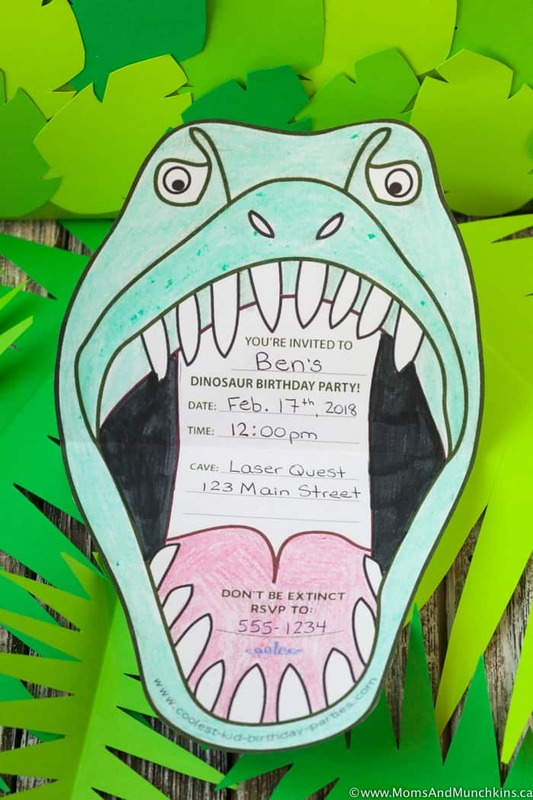 Turn the invitation into a craft with this free printable dinosaur invitation. The photobooth backdrop here may be one of my favorite pieces of the party! It took a little while to make (with all that streamer crepe paper) but it’s super easy to put together. Over on my article for Birthday In A Box, you’ll find the full tutorial. Another fun idea is to create some long “vines” to hang from the ceilings or in the entrance way to the party. Green and brown streamers work well for this. 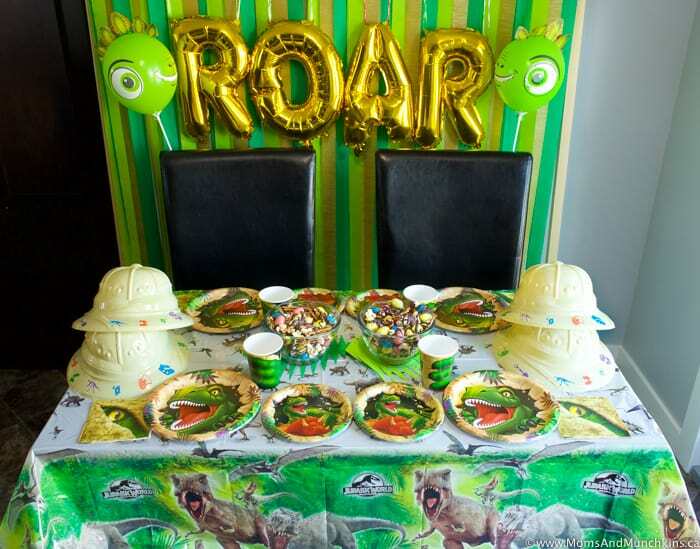 You can scatter dinosaur toys, balloons or inflatables around the room, on the food table and in play areas. You may also want to include a sand pit for the dino dig game I’ll discuss a little later here in the activities section. 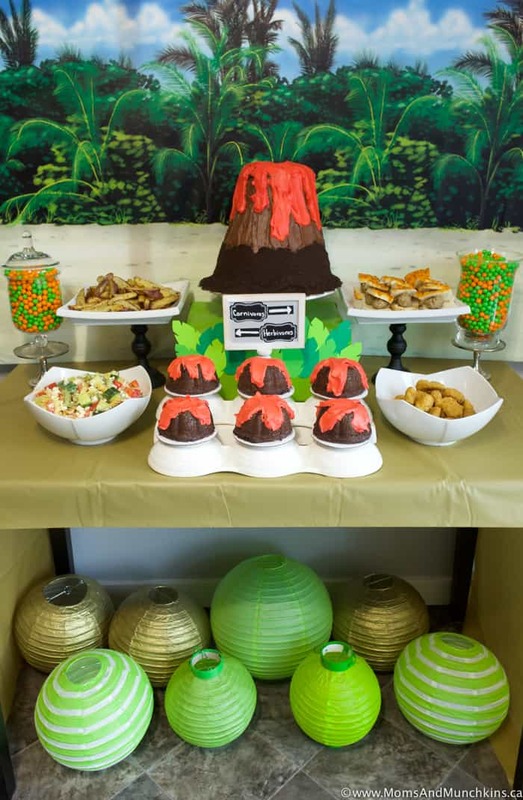 For this party table backdrop, I used a tiki party scene setter backdrop. The palm trees were perfect for the look I was going for. 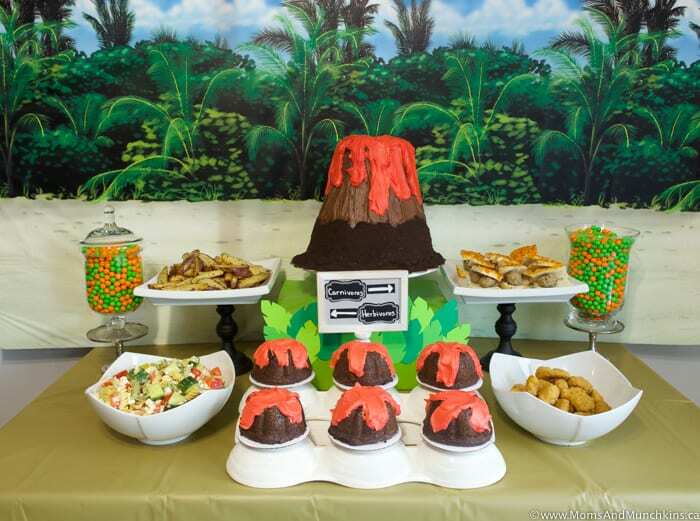 It set the scene for the Rice Krispies volcano cake as the centrepiece. You’ll find the full tutorial for the cake over on Birthday In A Box. 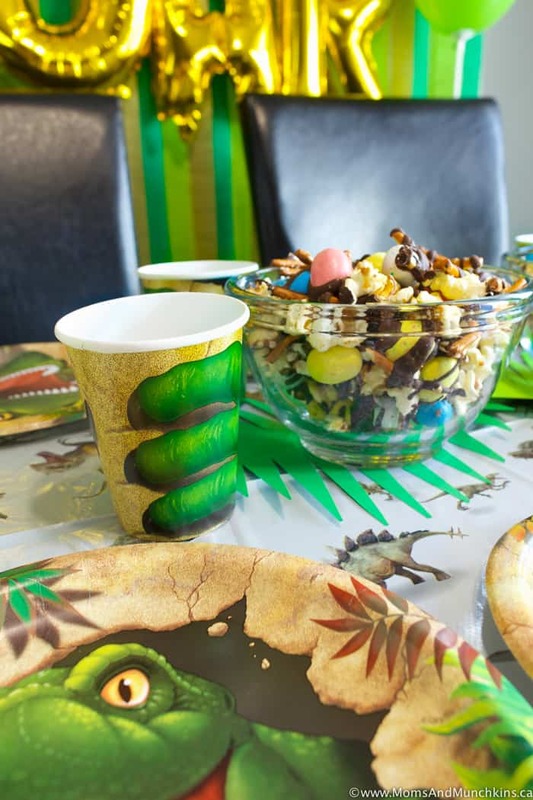 For the eating area, you could set out a variety of dinosaur print paper plates, cups, napkins and balloons along with dinosaur snacks like dinosaur gummy candies or this tasty Dinosaur Munch. 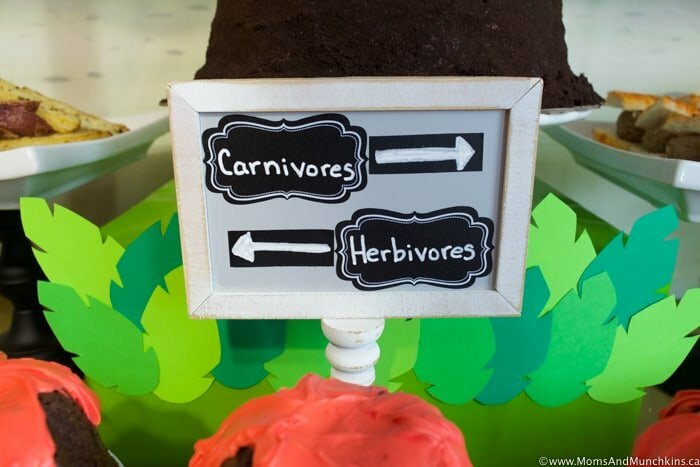 A fun idea is to have a table area for “Carnivores” for meat food items like a meat & cheese tray, sandwich meat subs, hamburgers, chicken wings, etc. You can give the food items fun names like T-Rex Burgers, pterodactyl wings, etc. 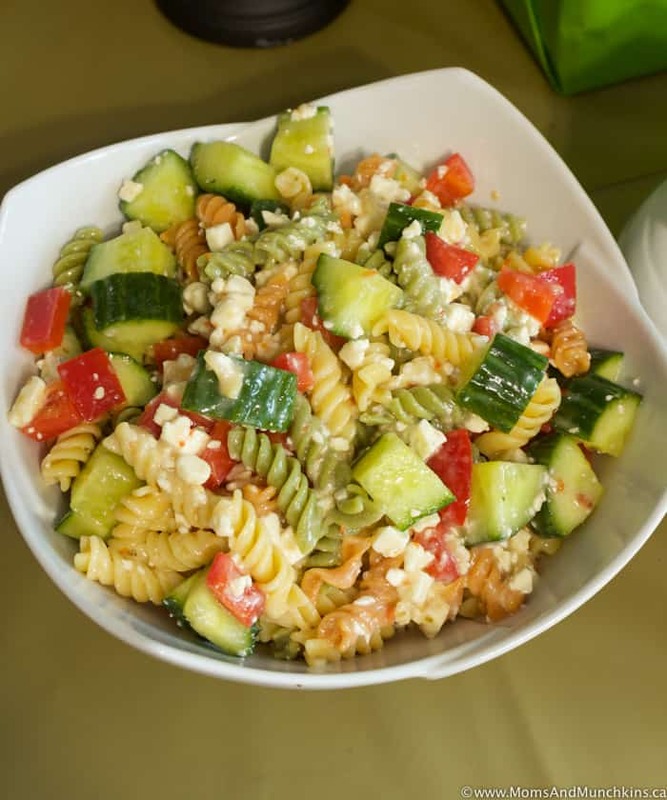 You can then have another table area for the “Herbivores” with pasta salad, fries, veggies and dip and other vegetarian options. An easy drink that goes well with the theme is a red punch, red Kool-Aid or red juice with a label of “Lava Juice”. Let’s not forget the desserts! 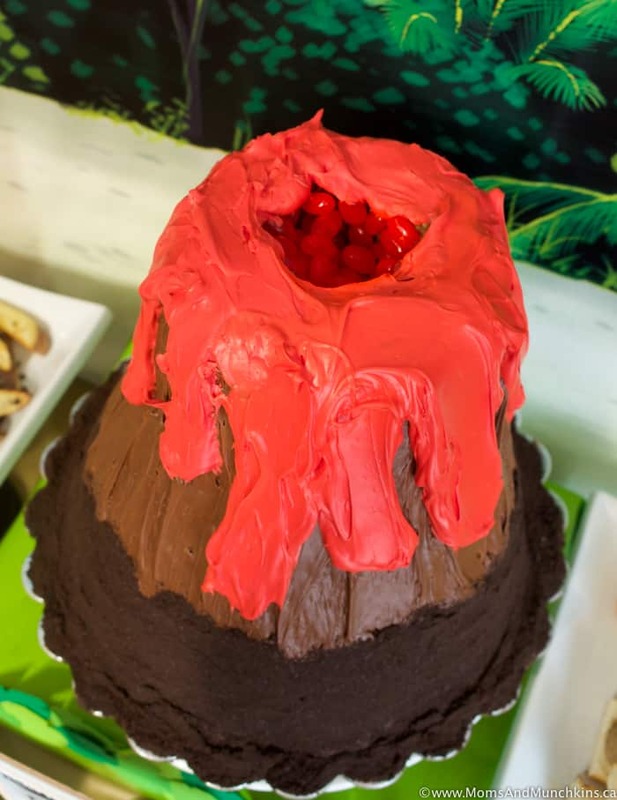 For easy mini volcano cakes, you can use a mini bundt cake pan to make chocolate cake “volcanos” with red icing for the lava. 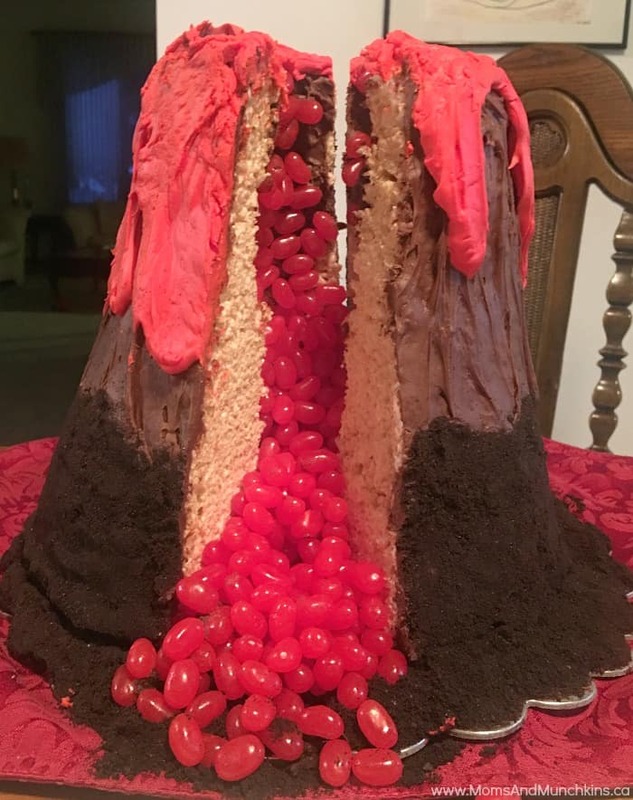 Then of course we have the BIG cake – the Rice Krispie volcano cake filled with red jelly bean “lava”. You’ll find my full tutorial on Birthday In A Box. 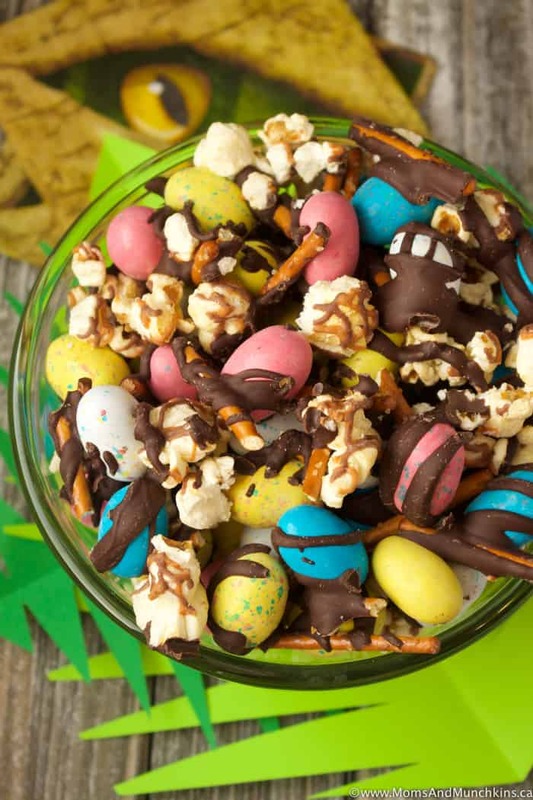 Candy is always a popular option for parties. 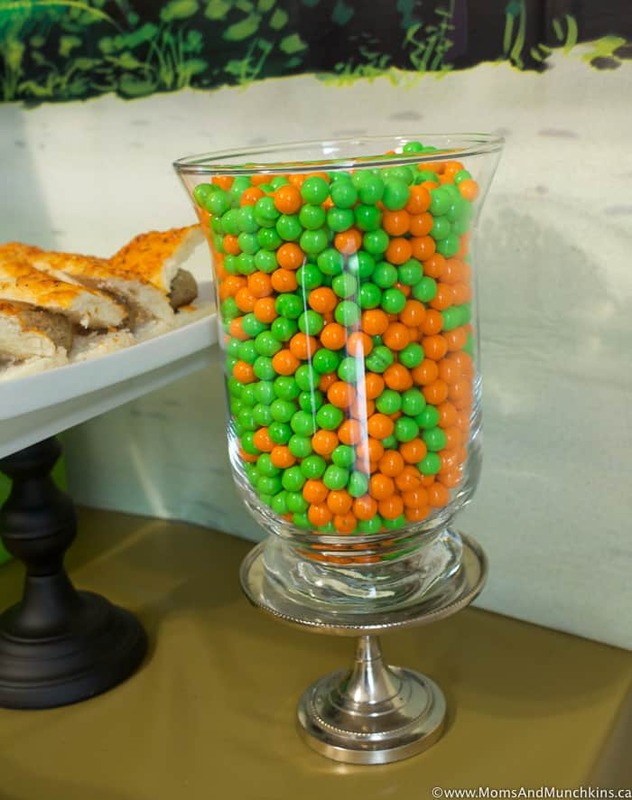 You could set this up on the party table for snacking or display it as a candy buffet for guests to take home as part of their favor. 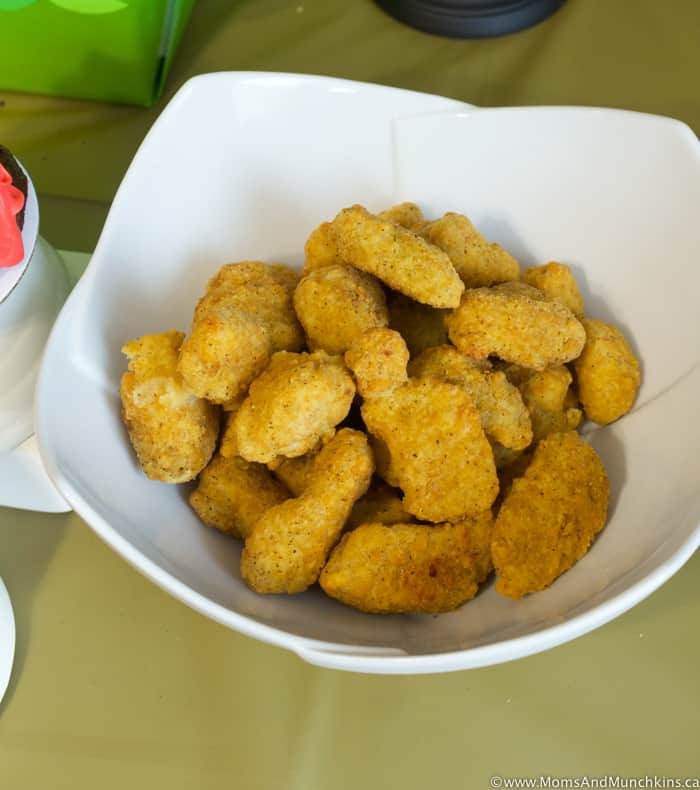 The treat bags for the kids can also double as activities for the party. 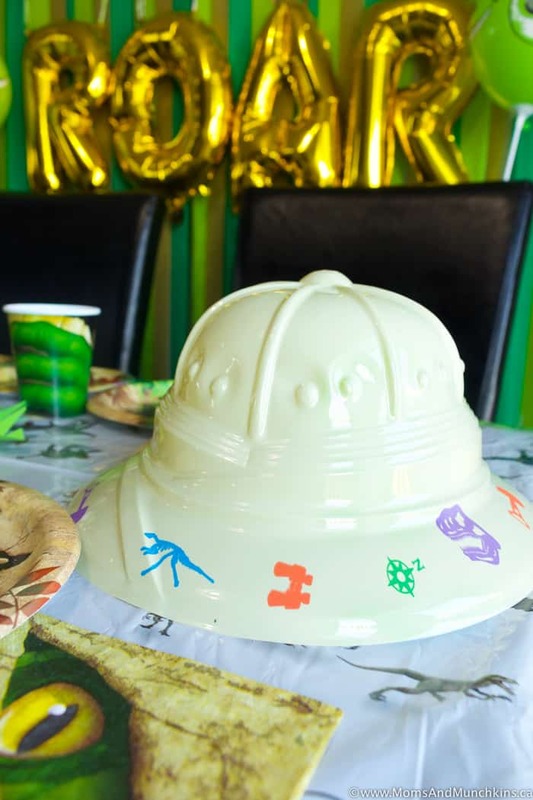 You can include items for a dino dig like a shovel, pail, dusting brush, binoculars, pith helmet, gloves and a magnifying glass. Dinosaur Dig: Bury small plastic dinosaurs (or small eggs with dinosaur stickers inside) and hide them in the sand for the children to dig up. Anything the children find can be added to their treat bag to take home. Dinosaur Hopscotch: This is a fun game for the kids that’s easy to set up. Cut out large dinosaur footprints (a little Google Image search will help you find some to print) and lay them out in a hopscotch pattern. After each child takes 1 turn, remove one footprint and have the kids each take a turn again. If any child misses a footprint on the way through the hopscotch, then that child is out of the game. After each round, continue to remove one footprint. The last child remaining is the winner! 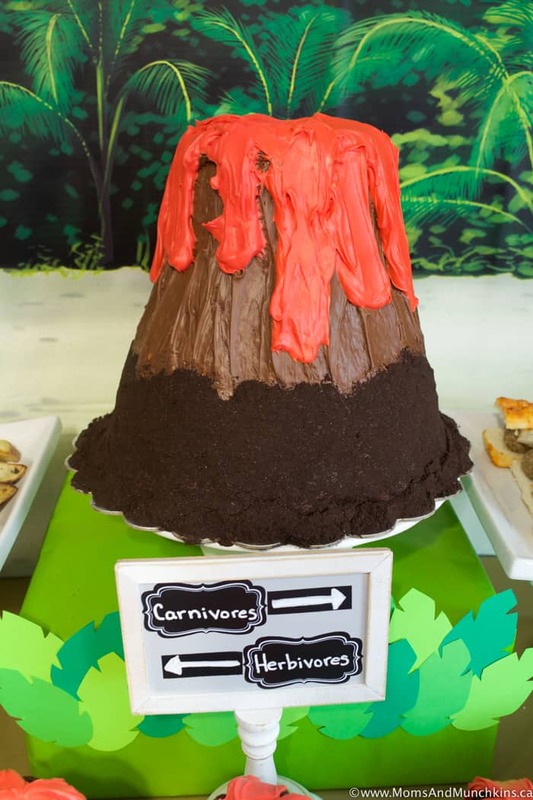 Volcanoes: Using some clay or even some dirt outside, have the children make erupting volcanoes with this fun science experiment. 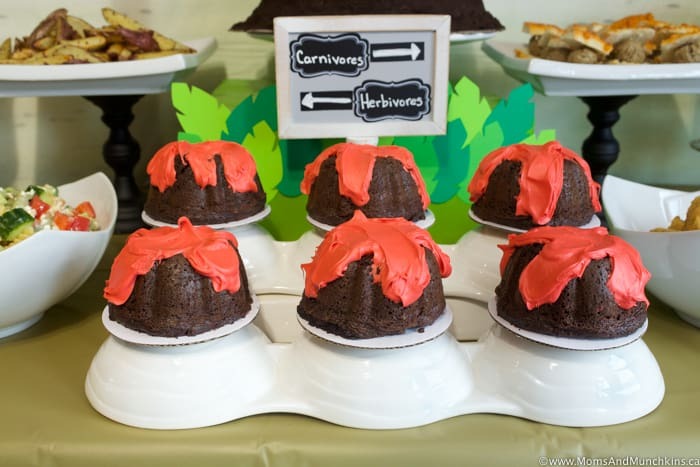 Museum Scavenger Hunt: You could host your child’s birthday party at your local museum and create a fun scavenger hunt in the museum. Here’s a link to a museum scavenger hunt that you can print for free. palaeontologist kit like shovel for digging, binoculars, brush for brushing fossil dust, etc. 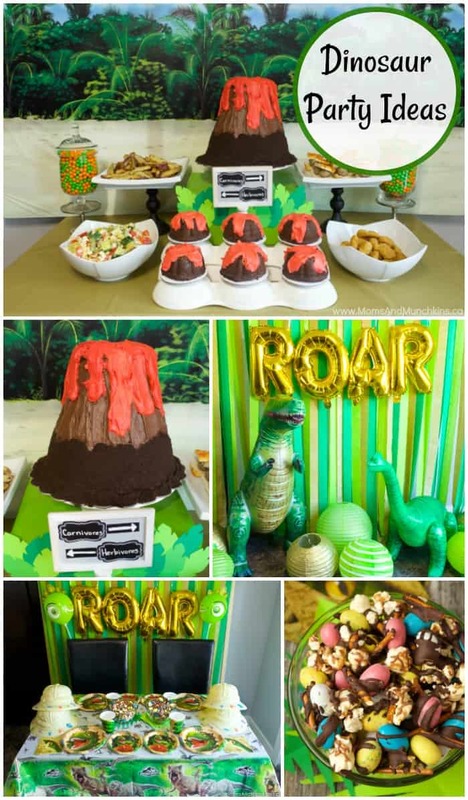 For more fun birthday party ideas including themes, decorating ideas, food ideas, activities, free printables, favor ideas and more, check out our special Birthday Party page. 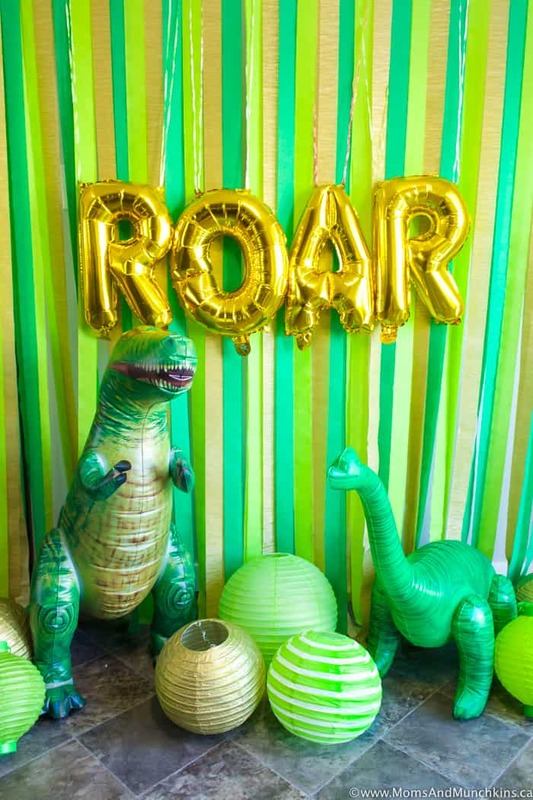 We even have a special category dedicated to Dinosaur parties! 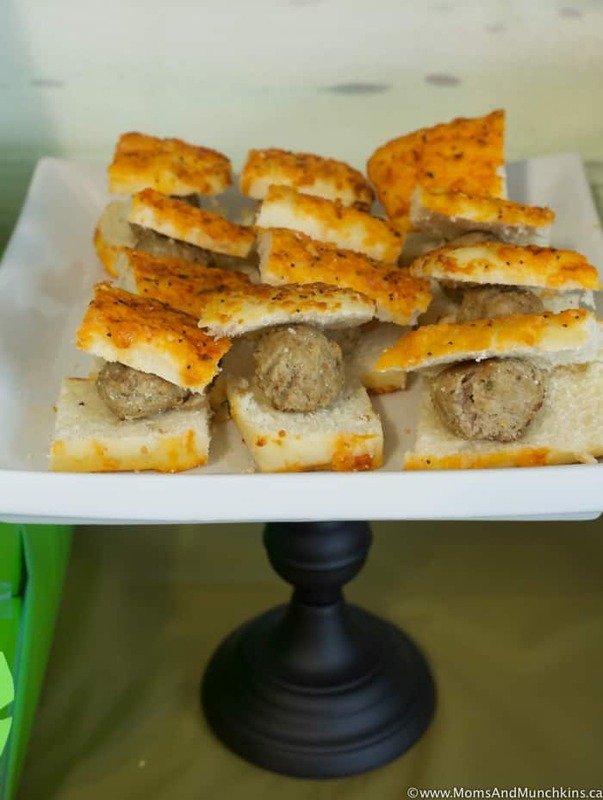 We’re always adding new & creative party ideas. Never miss an update by following us on Facebook, Twitter, Pinterest and Instagram. *Disclosure: I was compensated for this post & I am an affiliate for Birthday in a Box; however, all opinions expressed here are my own. 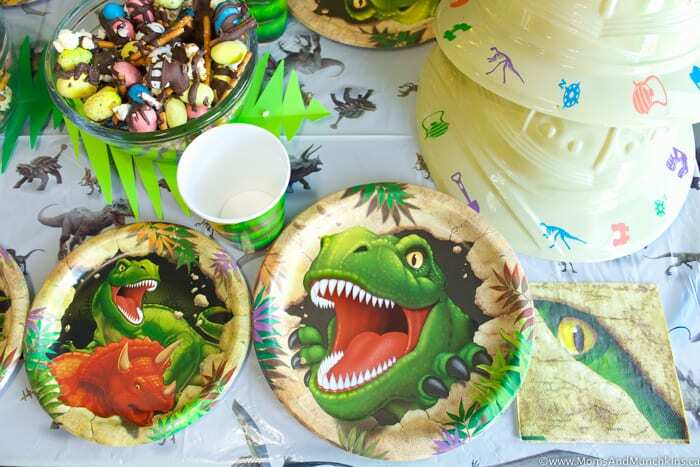 The cake design is so cool and amazing when i see these type of party theme ideas then i remember my childhood. When i was a child then there were no any type of special themes like today.